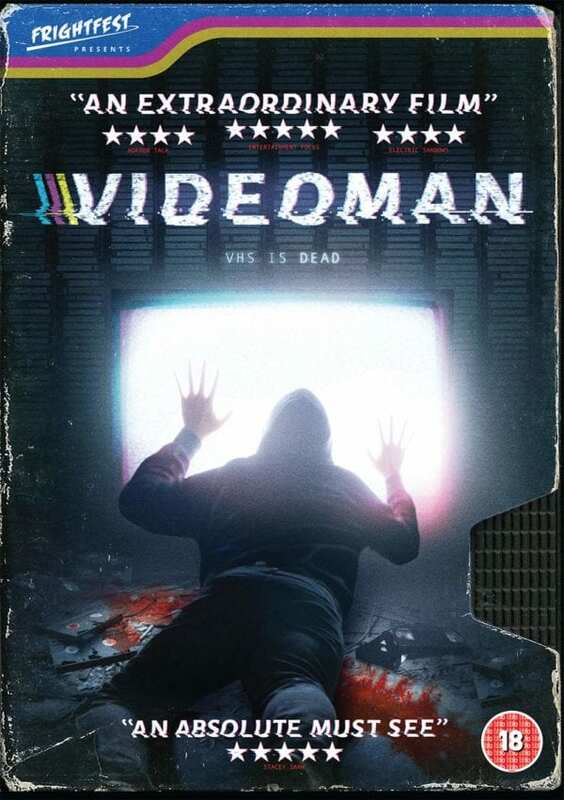 To celebrate the home entertainment release of VIDEOMAN, available on DVD and Digital 18th February 2019, we have a copy of the DVD up for grabs, courtesy of Signature Entertainment. Dario Argento meets Mike Leigh in Kristian A. Söderström’s feature film debut – a darkly comic, creepy and incredibly moving celebration of both gialli and social realism. Fans of genre cinema, art cinema, and collectors will find Videoman an absolute blast. Let’s face it, social realism and gialli are not genres you often find sitting together in the same sentence. The giallo is big, brash and operatic, full of incredibly beautiful people being murdered in outlandish, gory set pieces. The social realist film, on the other hand, well, it does what it says on the tin. Yet somehow, Kristian A. Söderström successfully brings these two distinct genres together in the masterful Videoman. On paper, Videoman just shouldn’t work but Söderström has a vision for the film and he carries it out so masterfully, you would swear this couldn’t be his first feature film. It’s certain to mark out Söderström as a director to watch closely.